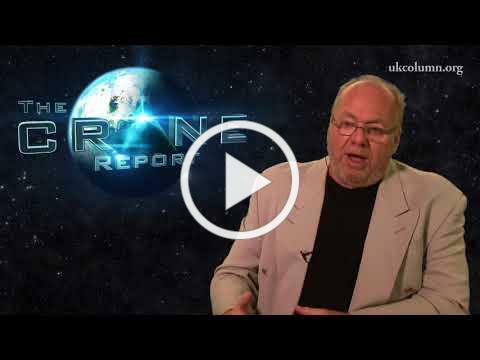 as he faces the full wrath of BIG PHARMA's protection racket ... ENFORCED by the MHRA on behalf of Big Pharma & the UK Government! To conceal GcMAF, the body's way of treating cancer, for another 25 years, the Medicines & Healthcare Regulatory Authority (MHRA) is prosecuting me ( David Noakes) and others at Southwark Crown Court near London Bridge, at 10 am on Monday 19th November 2018. Pubmed 12659668 in the Journal Neoplasia "GcMAF inhibits angiogenesis and tumour growth in mice," by seven Research Institutes in Japan, Berlin, Boston and Rhode Island USA. It shows six attacks GcMAF has on cancer. That is more attacks on cancer than any other molecule. Pubmed: 20855083 The Second is by five of Japan's top cancer research institutes, including the prestigious Atomic Bomb Institute of Biomedical Sciences, Nagasaki. On page four you can see the picture of the tumours before treatment, and below them, tumours shrunk 90% in three weeks by GcMAF. Pubmed 24982371 The third paper, published in the most senior of cancer scientific journals, the Anticancer Journal, is one of the 33 scientific papers written by our scientists. At the end it shows GcMAF before and after scans of patients' tumours shrunk by 25% in a week in one of our clinics. You can see all this online at www.gcmaf.se - press ESC and click Why Us. David Noakes was supposed to deliver this presentation but his legal team advised him to 'stand down' as it might be used against him in his forthcoming trial. 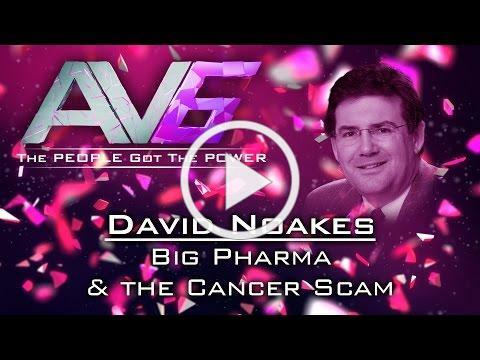 David and his business associates have been persecuted relentlessly by the MHRA (Medicines & Healthcare Regulatory Authority), having his Bank Accounts shutdown, his business premises (including research laboratories) raided and his employees told not to return to work ... all because David Noakes had developed an extremely effective CANCER treatment, which threatened the Big Pharma monopoly, established by the 1939 CANCER ACT. On the advice of his legal team, David pleaded GUILTY to manufacturing and supplying an Unlicensed Medicine and is scheduled to appear at Southwark Crown Court in Southeast London for a 3 day sentencing hearing, commencing at 10am on Monday 19th November 2018 ... in which the MHRA will be seeking a Custodial sentence ... all because David Noakes had the audacity to produce an EFFECTIVE CANCER TREATMENT! In the spring of 2009, David Noakes listened to presentation in Ghent, Belgium on Codex Alimentarius by some guy called Ian R Crane. During the course of his presentation, Ian stated there was a little-known cure for cancer called GcMAF. After the talk David went home and put it into Google. In those days there were just 32 research papers by scientists; all of which claimed that GcMAF had produced remarkable results. David was horrified that, after 20 years, no one was making this remarkable product available to the general public. He resolved to stop fighting the EU, and attack cancer. With his four scientists and 7 doctors he supplied 9,000 patients, and 350 independent doctors and clinics. GcMAF is a human protein all healthy people make that has 21 brilliant effects in the body including the most powerful 7 attacks on cancer known to man. Needless to say, it has no side effects. David's little company, Immuno Biotech Ltd, has now also written 31 research papers, peer reviewed and published in prestigious scientific journals. His results are truly astonishing! Needless to say, David and Immuno Biotech Ltd have been under sustained attack and subsequent persecution from Big Pharma. The problem is that this protein, which is a human body part and a Human Right for all of us, is inexpensive, effective and a threat to, for example, the poison of chemotherapy, which costs £40,000 a round. Its the fact it works that makes it a target. The prevailing political philosophy is a prescription for totalitarian capitalism; which is well on the way to being implemented. However, one of the first rules of conflict (& politics) is, KNOW YOUR ENEMY. Which is precisely why there is still NO FRACKING in the UK, why there is rapidly growing awareness and opposition to the roll-out of 5G ... increasing rejection of Big Pharma & Vaccination ... a call for genuine Localism ... and a greater determination for Teresa May to deliver BREXIT!